Arriving in Briançon, I was greeted by a busy market day crowd and the heavy traffic accompanying it. It wasn’t easy feeling my way through the throng congregated around the many food and produce stalls, but eventually I found myself heading in the right direction, northwest along the D1091 towards the start of the Coldu Lautaret (2,058 metres). The Col du Lautaret is not a destination; it’s a long and innocuous climb which carries you somewhere, usually to or from the Col du Galibier or the Alped’Huez. When combined with Galibier, as it was in the 2006 Tour de France, it becomes a completely different prospect. The additional 8 kilometres of near 9% gradient makes it a formidable challenge. Looking up at the long string of young Italian riders above me, I was glad I was not climbing it from Valloire, on the other side. After numerous switchbacks nearing the top of the road pass, it finally levelled off at 2,645metres, not much below Bonette, but this time, thankfully, with not a breath of wind. 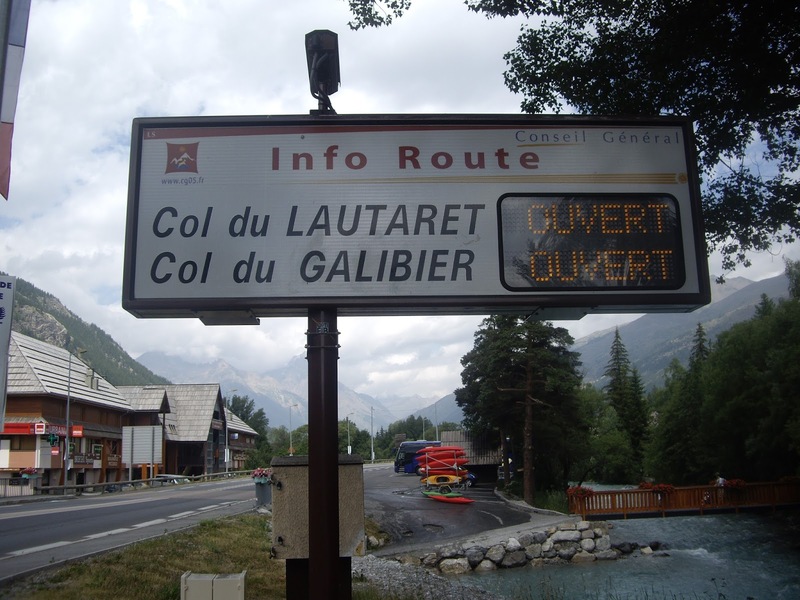 Junction where Lautaret finishes and Galibier goes off to the right. Close to the summit of Galibier stands a statue commemorating the life of Henri Desgrange, the “father” of the Tour de France. A journalist for L’Auto newspaper, he and fellow sports journalist Geo Lefèvre were given the responsibility for organising a cycling event that would more than compete with the renowned long-distance cycling event, Paris-Brest-Paris, a 1,200-kilometre cycle race sponsored by a rival publication, Le Petit Journal. The initial idea for the structure of the new race—to hold it in stages—was reportedly Lefèvre’s, but it was Desgrange who sought to ensure that it maintained its quickly won reputation as the most gruelling and unrelenting sporting event on the French calendar. 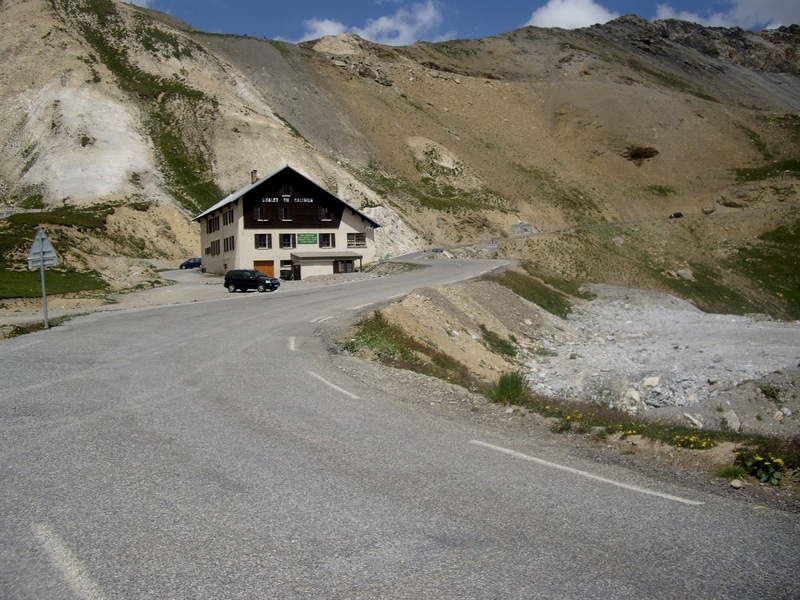 The road uo the Col du Galibier. The first stage of the first ever Tour, from Paris to Lyon, began on July 1, 1903. 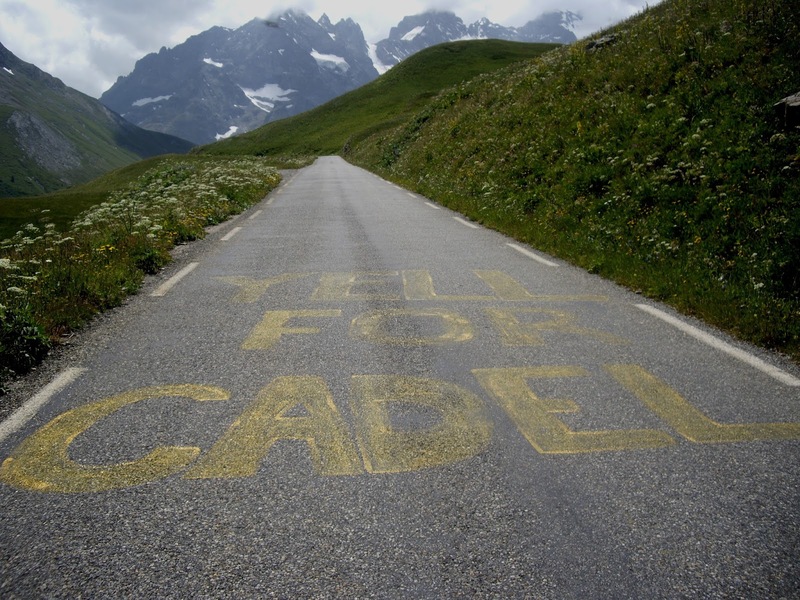 It was another eight years before Frenchman Émile Georget crossed the Col du Galibier for the very first time. Over a century later, the Tour de France is stronger than ever. While it has been plagued by controversy throughout its more than 90-year history, from hostage taking to drug cheating, from its cessation due to war to the untimely demise of some of its competitors, these events have only served to enhance its reputation. The Tour’s media circus has ensured that cyclists are now lauded like Hollywood film stars. That aside, their miraculous feats of endurance are no acts, despite state-of-the-art technology and the ongoing controversy raised by performance-enhancing drugs. When it boils down to it, the Tour de France is just that, a tour through significant parts of a spectacular and diverse country, acting as its showcase to the rest of the world. Like a soap opera, the actors play their part, gladiators who muster every ounce of physical and mental courage to be first over the line. What a great recipe for prime-time television viewing. Having done all the hard work for the day, it was basically downhill all the way. 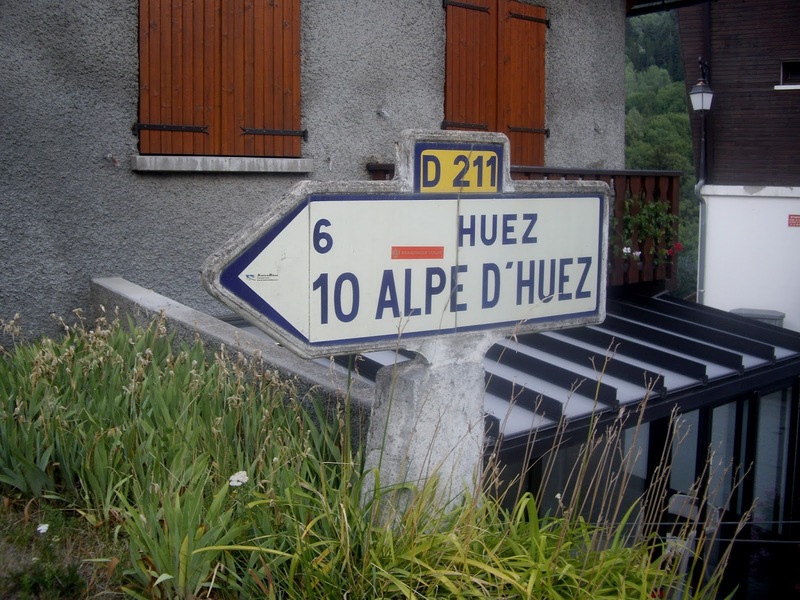 But I couldn’t resist a final side trip up Alpe d’Huez before heading to our accommodation at Grenoble. A few hundred metres along the D211, from the tiny town of Bourg d’Osians, it’s a 14.5-kilometre climb with an 8.1% average gradient. And it felt like it too, particularly nearer the bottom where its 21 hairpin bends, named after riders who have won there, wrap themselves around the mountain. 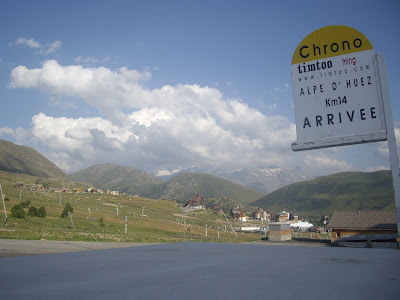 The climb up Alpe d’Huez reminded me a lot of Italy’s Monte Zoncolan. The only difference was the Italian mountain’s steeper gradient and the approach towards the top. 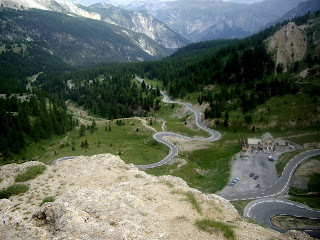 I found Zoncolan far more rugged and remote, made so by its tunnels, snow-lined road and barren peak. 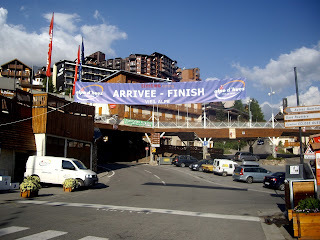 Alpe d’Huez is more of a tourist spot, with its broad ski-station summit, shops and restaurants.